Note: This article was updated on 12/31 to replace the Alien Gear Cloak Tuck 3.0 with the Alien Gear newer Shapeshift 4.0. Why do you carry a gun on you? Is it for work or personal protection? Your reasons can be one of many, but like others, you probably want your gun to be concealed when you wear it, right? Then maybe you should consider an inside waistband (IWB) holster. IWB holsters are hidden under your clothes for a more discrete look. 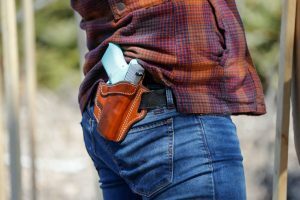 These brands on the list of the top five of 2018 have done remarkable jobs of designing easily concealable holsters. Read on and you’ll find out why. Which one is suited for you? What Kind of Holster Should I Get? What Is a Tuckable IWB Holster? How to Keep Holster from Sliding on the Belt? Alien Gear Holsters took everything we loved about the Cloak Tuck 3.0, and made an even better iwb holster with the ShapesShift 4.0. The ShapeShift 4.0 requires no break in time just like the Cloak Tuck 3.0. For a more indepth review of the ShapeShift 4.0 click here. The improved ballistic nylon, and single mounting point allows the holster to be even more flexible compared to the Cloak 3.0. These new characterics of the holster greatly its comfort level. Alien Gear Holsters worked hard to reduce the size of the ShapeShift 4.0 compared to the Cloak Tuck 3.0. As a result, the ShapeShift 4.0 is much easier to conceal. The holster cant and ride height can be altered thanks to the holster's tool-less adjustable clips. The ShapeShift 4.0 shell was designed to cover the the trigger in all its configurations. 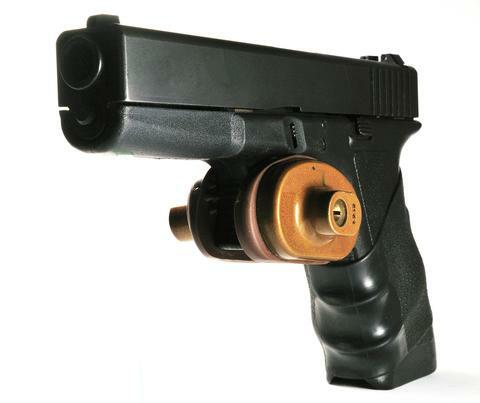 As a result, the trigger is protected from involuntary movements. Retention-wise, this holster falls somewhere in the middle of the pack. There's an active thumb-release option and the passive retention system is adjustable, but if your priority is a retention holster designed this is not the holster for you. The ShapeShift 4.0 is considerable smaller than the Cloak Tuck 3.0, but it is will be too bulky for some out there. Clips are improved, but can still break off. The positive click is a unique feature that is beneficial. When you're in a hurry you don’t need to check if the gun is secured in the holster. There is barely any risk of it falling out without your knowledge. The gun models it carries are limited. You need to check if the measurements of the holster will indeed be a perfect fit for your branded pistol. The elastic holster fits small, subcompact, compact and full sized pistols & revolvers. No matter the size you carry it’ll be a comfortable fit. The ventilated and soft material make the belly band comfortable to wear in any position. You won't feel the pistol against your skin. The material can stretch out quickly which makes it loose to wear. It’ll hang low which makes it more obvious that you're wearing an IWB band. This holster’s open design makes it easy for you to grab your pistol when in an emergency. The position where you carry your gun won't affect how easy it is to draw it. The IWB hostler breaks away from the traditional nylon material. It’s made of cowhide for it to have great retention. This material is softer and feels more natural, which makes it comfortable to wear directly against your skin. The strong metal clip allows for a greater deep concealment in any position you carry the holster. The holster carries any compact pistol. The great retention of the cowhide makes it easier for the gun to slide back without any resistance. The metal clip doesn’t keep the holster in place and it can move when you do. The UMITOM holster is a thick band that wraps around your belly. It’s made of neoprene and around a 54’’ belly. This band makes for an ideal concealable carry system. The best part to this is how great it is in concealing your gun or other possessions. Compared to pants holsters where it may show a bulge, this product blends well underneath your clothing. When you wear looser clothing, it’ll look natural and doesn’t raise suspicion you're carrying a gun. You need to compare the size of the pistol and this holster as it's not always a perfect fit. That is not the only design flaw. The IWB is not a practical fit for those that are left handed. This buyer’s guide gives you a list of all the features you must compare before making your final purchase. There are two styles of IWB holsters that are classified by the design. These are universal which allows you to position it anywhere on your body. A pancake holster is made with two pieces of material with the gun sandwiched between them. This style has two or more clip slots for you to slide your belt. You place the holster in your pants and the clips over the waistband where you can slide the belt. The holster features a durable plastic retention shell mated to a cloth or other retention shell. The shell secures the gun in place and creates a barrier between it and your skin to minimalize discomfort. The material around the outer shell creates a padded type feel for the holster to rest comfortably on your side. Condition four is the only state where there is no magazine inserted. The shared characteristic of these materials is that is doesn’t collapse or change shape when the gun is drawn. The gun slides back into the holster seamlessly without any resistance. The size of the holster and your pants need to match for a comfortable fit. There is a simple formula that helps you determine how big the holster will be. Now that you know the size of the holster you must also consider where you tend to carry it. Some carry positions of the gun also affect the size of the holster. If placed on the sides it’ll be a tighter fit. The 6 o’clock position is more flexible and offers a greater gap in the waistband. 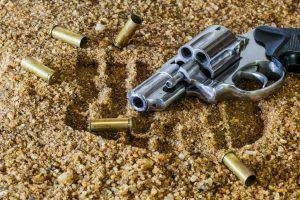 These two scenarios show that you need a bigger or smaller holster depending on where you plan to carry it. Before you purchase a holster, you should understand the different kinds. Based on these descriptions you can determine which one you feel is comfortable to wear. This is the most common type. The holster attaches to your belt via a clip paddle. The paddle slides over your pants’ waistband and sits between your pants and your body. The clip secures it in place when you move. Alternatively, other belt holster designs have slots for you to run your belt through. This design is more reliable as the holster is fixed. 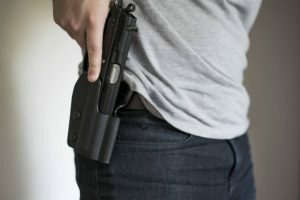 The second option is safer because the belt looped through the holster makes it difficult for an assailant to remove it. 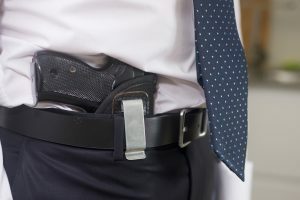 IWB holsters are easier to hide because you tuck it underneath your pants and inside your shirt. This type attaches to your belt with J-hooks, clips, and loops. 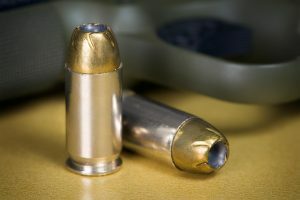 Although its concealable nature is a huge advantage it can also be its downfall. It takes longer to reach for the gun. 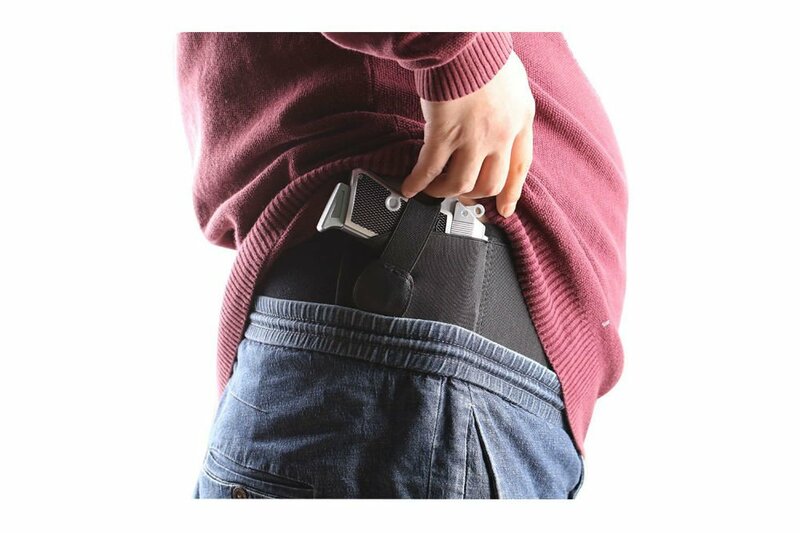 The pocket holster fits inside your pants pocket and keeps the gun upright for an easier draw. This type is also easily concealable when you wear a jacket. An assailant will think you're reaching for something in your pocket and won’t expect the gun. The shoulder holster is practical for someone who has back problems because the weight is distributed to the upper body. The straps loop around your shoulders and the holster sits by your sides (between your body and arms). The shoulder holster is easy to wear, and gun access is quick. This type of holster looks exactly like a normal fanny pack. The casual look makes it unsuspecting and it blends into your wardrobe better. The fanny pack’s material protects the gun from external elements such as rain. When you find it difficult to conceal the other holsters when the ankle type is for you. People hardly take notice of others’ ankles which boosts the concealable aspect to it. The holster is small and fits well around any ankle. When you wear loose fitting pants people won’t see any bulge. Wearing an IWB holster is straightforward; it boils down to comfort and position. How do your pants fit you? Are they loose, or tight fitting? The IWB holster adds an inch or two to the waistline. If you wear tighter pants you may need to size up as it may be uncomfortable. It is said that the 3 o’clock position is best as it’s more natural and doesn’t dig into your leg. It gives you easier access to the pistol. If you prefer comfort, then choose the 4 o’clock position. Body types also affect the position of the holster. For bulkier people the 5 o’clock position is better. Test the position by sitting down. If you feel the holster digging into your side, then reposition it. The best way to conceal the IWB holster is to wear a jacket or loosely fitted shirt. These two clothing items and others that are loose won't outline the holster. If your holster is positioned incorrectly, it can be uncomfortable to sit. If you place your holster behind the point of the hip the bending action may be parallel to the holster. 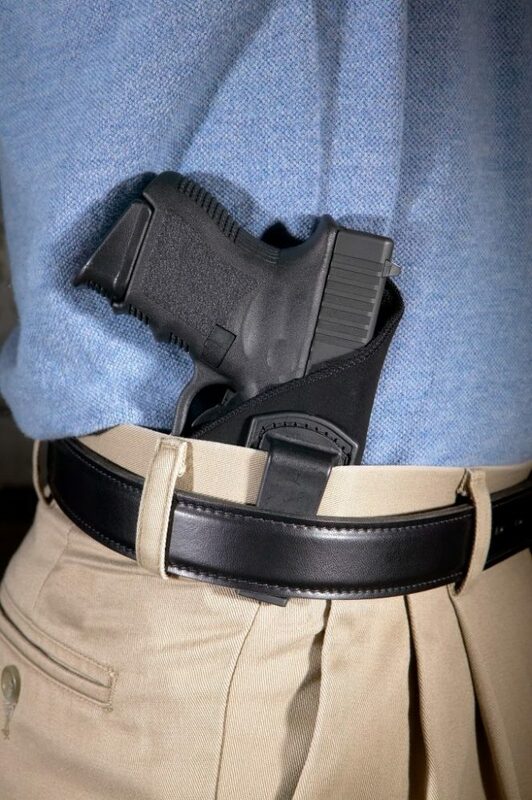 A tuckable IWB holster is designed to be worn inside the waistband of your pants. There is a clip that fastens the holster to your belt, which allows you to tuck your shirt over it. You holster needs to be in place when you move around. If the holster slides the new position may make you uncomfortable. Make sure the belt fits perfectly in the holster loop. The holster will slide if its loops are 1.5’’ and the belt is a thin 1’’. Find a holster with these designs as they are best at keeping them in place. Place a leather spacer between the holster and belt loop to keep it in place. If you're stuck deciding on a holster to purchase, then choose the Belly Band Holster for Concealed Carry. It’s a great buy because of the features it offers and it's affordable. The versatile carry positions are beneficial for you. Sometimes the clothes you wear may outline the holster. You wouldn’t want to be restricted with what you wear. The multiple carry positions accommodate the holster according to your outfit. There is also a high chance your gun will fit into the holster. This makes the purchase easier because you don’t have to spend time looking for a holster that fits your gun. 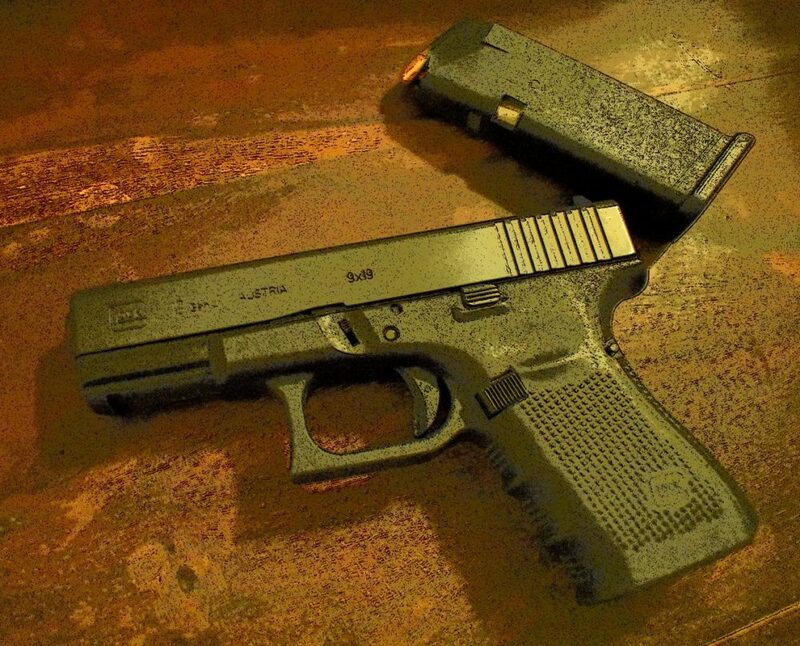 The versatile size is also practical when you have more than one pistol. Thanks to IWB holsters, you can carry a gun and it’ll be unnoticed. It’s perfect for communities where people feel uncomfortable if they see such a weapon. Whether for a job or just everyday carry, you can now be prepared for any eventuality with your gun at your side. The inner holster shell is made of a soft material which doesn’t scratch or remove the gun’s finish. The belt clips are adjustable according to your height and carry angle. You can carry the holster in any position. The holster is predominantly made of plastic and rubber. 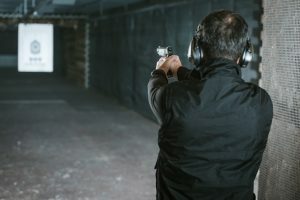 While the holster is durable these two combinations of materials don’t make the holster appear as durable compared to the traditional leather holsters. Some recommended products may use affiliate links. OutdoorMethods.com is a participant in the Amazon Services LLC Associates Program, an affiliate advertising program designed to provide a means for sites to earn advertising fees by advertising and linking to Amazon.com. Amazon and the Amazon logo are trademarks of Amazon.com, Inc or its affiliates. Copyright © 2019 by Outdoor Methods.